A total of three Boxing Day Tests will be played across the World this year. The Boxing Day Test played between 26 December and 30 December is one of the biggest year-end cricketing carnivals. This game at played at the historic Melbourne Cricket Ground (MCG) that plays hosts to the home team Australia. This is assuredly one of the best traditions in Australia and the crowd attends this encounter in huge numbers. Yet, the history of this Test doesn’t date back a long way and has got some interesting anecdotes to it. There are several arguments abound about the origin of Boxing Day. However, the earliest definition given by the Oxford Dictionary describes it as the first weekday following Christmas, observed as a holiday on which postmen, errand boys and servants expect to receive a Christmas box of goodies. A ‘Christmas Box’ in Britain is a name which is associated with a Christmas gift. The Boxing Day was traditionally a day off for the servants. They receive their presents on this day from their masters and would go home to give the ‘Christmas Boxes’ to their families. This day is also observed as St. Stephen’s Day, a religious holiday. In Australia, Boxing Day is a federal public holiday. The Melbourne Test usually started on January 1 on the eve of the new year in the late 19th century and in the first half of the 20th century. It was during the 1950-51 Ashes series when the tradition of playing an international game on the Boxing Day actually began. The fourth day of the game between Australia and England was played on the eve. However, between 1953 and 1967, there weren’t any Tests played at Melbourne and the tradition couldn’t really kick off. In the 1975-76 Ashes series, there were six Tests that were played during the Australian summer. To accommodate all the games, the third Test was scheduled to start on the Boxing Day in Melbourne, the first of its type. Kerry Packer (the Australian media tycoon), who is known to have revolutionised cricket with several changes in the 1980s, is believed to be one of the masterminds behind this Test match played on the day evolving into a tradition. Packer’s Channel Nine got the broadcast rights to cricket in Australia in 1979 and it really kicked off from there. In 1980, the Melbourne Cricket Club and the Australian team secured rights to begin a Test match on December 26 annually. In 1989, instead of a Test match, an ODI was played on the Boxing Day against Sri Lanka. Since the 1990s, the Boxing Day Test became a regular fixture in the Australian cricket summer. Till date, 42 Boxing Day Tests have been played. The game between Australia and India in 2018 will be the 43rd one. Four more Tests, against New Zealand, India, England, South Africa are scheduled to be played between 2019 and 2022. The Boxing Day Test is known to be a crowd-puller and some of the best attendances in cricket history were witnessed for this game. 85,661 people attended the game against West Indies in 1975 on the Boxing Day which showed glimpses of the popularity of this match back then. It took another 31 years to better this record when 89,155 people were present at the MCG in 2006 for the Test match against England. The highest ever attendance recorded on the Boxing Day was for the Ashes Test against England in 2013. 91,112 people audited this match. Since the beginning of the 21st century, not for once did the attendance go down below 50,000. In contrast, the other matches in the same series witnessed very low footfalls. By winning 24 games so far, Australia has got nearly 60 per cent wins in this game. They lost only eight games while the remaining ten ended in a draw. In the last 19 years, the Aussies just lost three games and won 14 which shows their dominance. England is the best overseas team at the Boxing Day Test. They’ve won four matches so far. South Africa and Windies are the next best at the venue with two wins each. By winning the Boxing Day Test in 2008, the Proteas registered their first-ever win in Australia. Both of New Zealand’s games ended in a draw and they haven’t played a Boxing Day game since 1987. 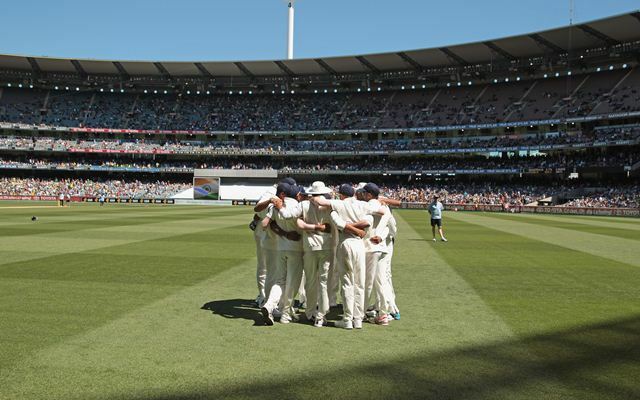 India, Sri Lanka and Pakistan have not won a Boxing Day Test at the MCG. The last time India played at the venue was under MS Dhoni’s captaincy in 2014. This was also the former skipper’s last Test match.